If it wasn’t clear from the start, the main purpose of this guide is to provide some solid strategies and tips, as well as background information about roulette odds. Armed with a bit of elementary knowledge on roulette, you can take to the tables and implement what you’ve learned to potentially win more often – or at the very least not lose as frequently. Before we can dive into online casino roulette strategy, though, we need to look at the basics of the game. This may sound rather elementary, but one of the best roulette strategies on the net is to learn how the game works. You would be surprised how many novices just dive straight in, betting on a single number without learning the various bets open them. That’s not a mistake that you are going to make, though. The two most common online casino roulette variants are European and American roulette. The difference between the two seems minimal but can have a huge impact on your chances of success. Generally speaking, if the ball lands in the zero pocket whilst playing roulette, you will lose your bet. There are exceptions to this rule in French roulette, and we’ll come to that a bit later. Because European online roulette features just a single zero spot, the casino has a 2.7% house edge. However, many Americans prefer to play American roulette online. This game is played with two zero spots, a zero (0) and a double zero (00), and that doubles the chance that you’re going to lose outright, up to 5.26%. Even though European roulette is clearly more advantageous to the players and not to the casinos, American roulette seems to be the industry standard. Thus, you’ve already learned your first basic roulette strategy – play European roulette for a better chance of success. Even rookies will have some idea of how the game is played. You can use the betting board besides the roulette wheel to place your bets, the croupier drops the ball into the roulette wheel, and the pocket it lands in will determine the outcome of your bet. Let’s focus for a moment on that betting board, as there are a lot of options there for you to bet on if you are going to play roulette online for money. Two main types of bets which can be placed in roulette – inside bets and outside bets. Knowing the difference between the two is crucial if you’re going to learn roulette strategy later down the line. Outside bets offer players a better chance of success but pay out far less. These include betting on 1-18 or 19-36, betting on red or black pockets, odd or even numbers, dozens (1-12, 13-24, 25-36) or columns (betting on an entire column of vertical numbers on the board). Inside bets are worth considerably more but are much more difficult to land. These bets include straight-up bets (betting on a single number), splits (betting on two adjoining numbers), streets or trios (betting on three numbers on a horizontal line), corners or squares (betting on four numbers in a square formation), or six-line bets (betting on two streets). Now, the juicy part. What can you win with those bets when you play roulette online for money? Most of the outside bets pay-out at 1:1 with a 46.4% probability rate when playing American roulette online, and a 48.6% chance of success in European roulette. The exceptions are dozens and columns, which offer prizes of 2:1 at a probability rate of 31.58% in American roulette, and 32.4% in European roulette. From the information above, you now know which bets offer the best chance of success, and you know that playing European online roulette is more advantageous than its American counterpart. It is time to put that knowledge to use, via one of the best roulette strategies. 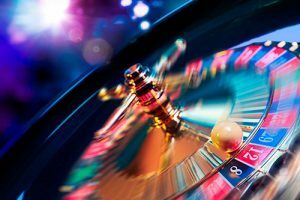 As we’ve said, there are many strategies out there for online casino roulette games, and whilst none of them can guarantee success, they can help you along the path to winning more frequently. One of those strategies which have proven to be a hit, particularly with roulette rookies is the Martingale System. The Martingale System is not a tailor-made online casino roulette strategy. As a matter of fact, the strategy can be used in other casino games, too, including blackjack. The basic system involves doubling your bet after every loss. It is simple to use, requires no mathematical skills and is a roulette strategy which guarantees that you won’t lose too much. The downside to this strategy is that you may need to have a significant chip stack to kick-off with, to sustain you through leaner times without a win. All the same, the Martingale System is considered one of the best roulette strategies for rookies to start out with. Once you’ve got that one nailed down to a tee, you might try looking at the Paroli System. This sees players take the opposite approach to the online casino roulette strategy used in the Martingale System, namely by doubling their bets on wins. It has roughly the same flaws as the Martingale System but has also been proven to be useful for rookies all the same. Both of the above online casino roulette strategies are considered progressive, in that you raise the bets over time. They both have their dangers (in that you can run out of cash), but when used with a bit of luck, when you play roulette online for money with the above strategies, you’ll come away with something, or at least most of your cash back. If you’re ready to take it to the next step, you could start looking at more complex roulette strategy options. The Masse Égale System is used for inside bets and is most popular with European roulette players than those who play American roulette. It is seldom used in other casino games. The system involves betting on a single number, and sticking with it until a win is acquired. This system is best used when you play for short periods of time and pull out after a straight-up bet win. The longer the session goes on, the less likely you are to win. As well as looking at the best roulette strategies, players may also wish to take onboard a few simple tips. It is all well and good learning online casino roulette strategy, but if you aren’t mindful of the game you are playing, you could easily lose (even with strategies). We would always recommend that you test out the strategies you have learned. Playing free roulette games is a terrific way of doing this. 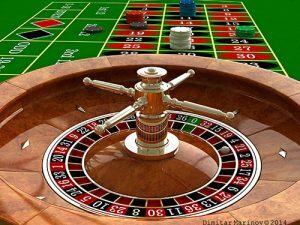 Find out if European roulette or playing American roulette online will work out best for a strategy by playing free games. You’ve got no risk of losing in this manner. If a strategy doesn’t suit your style of play or a particular roulette game, you’ll discover that long before you decide to play roulette online for real money. It is also worth noting that French roulette games offer even lower house edges than European online roulette games. Some French roulette games allow you to win half of your bet back (or add it to the next bet) if you land on zero. These La Partage and En Prison rules are another aspect of roulette strategy you may wish to check out. Roulette is not a game you are going to learn to be good at overnight. In fact, there are many different variants out there for you to try, with oddities such as mini roulette and progressive jackpot roulette just to name a few of them. Play for free, hone your skills and test out strategies before committing to the big tables. With free practice and by doing your homework, you can guarantee you won’t be going home empty-handed, even if you can’t guarantee you’ll be leaving with the big jackpot.